← Getting to grips with Instagram, and my frame has arrived! At first I was very excited about the theme for the Art Elements http://www.artelements.net/swirl-august-theme-challenge-reveal/ monthly challenge. I thought swirls was going to be simple, so much to choose from. I had lots of ideas which I dismissed as I wanted to do something different to what I have made before. I gave myself time for my little grey cells to get working whilst busy doing other things, I’m sure you know how it is, sometimes the ideas just pop in your head when doing mundane things like housework. Then out of the blue I started thinking of the work of Margaret McDonald, which I saw at Hill House a few years ago, it was designed by her husband Charles Rennie Mackintosh. I love that house and everything in it but that’s another story. 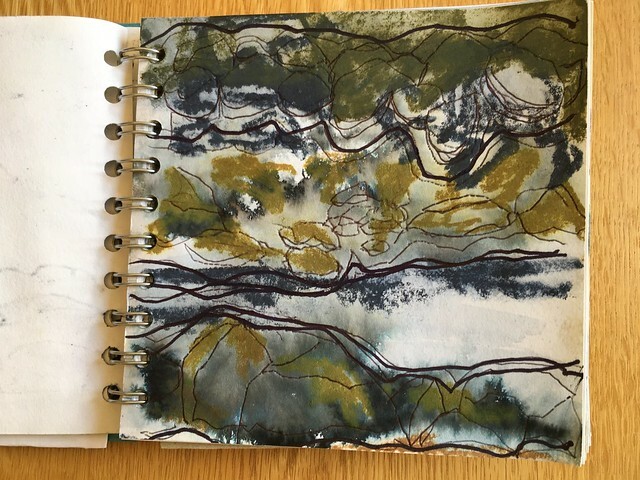 As much as I love their work I wanted to do something that was totally ‘me’ so I put them out of my mind (or so I thought) and decided to look through my sketchbooks to see if there were any ideas there which I could develop. There were plenty of wavy and curving lines. 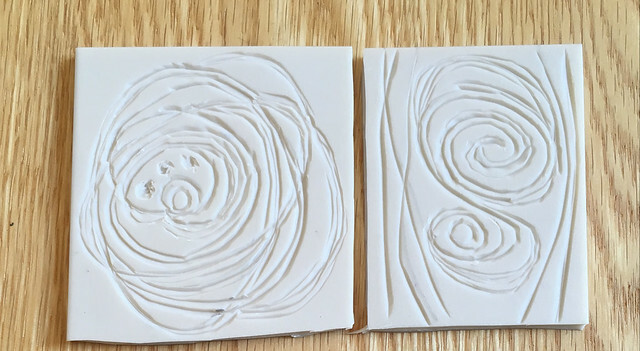 I found some lino stamping in my sketchbook, and thought I could try them out on clay. 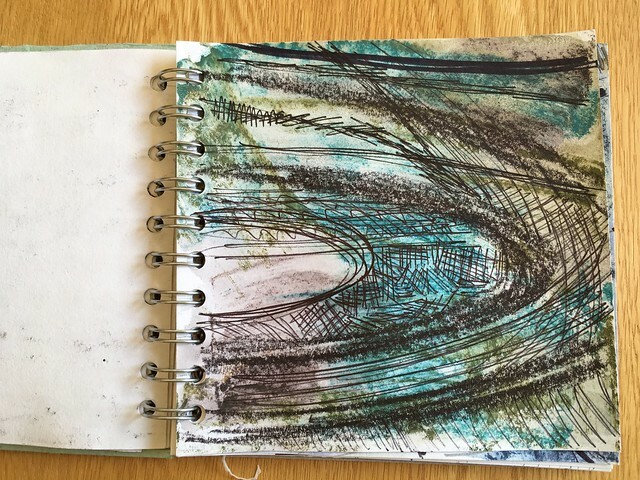 Next came some very quick swirl scribbles (on a scrap of paper I can’t find now) with thoughts of Corryvreckan. 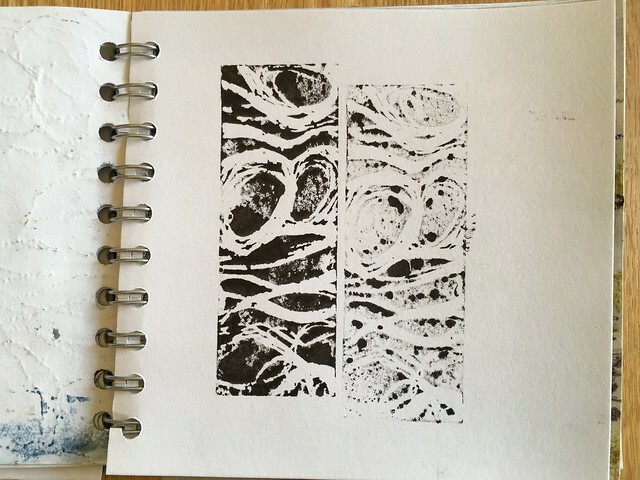 I cut some more stamps based on my swirly scribbles. Some of my already cut stamps had more swirls than others but while I was at it I thought I’d try them all. Once bisque fired I glazed some, used underglazes on others and fired some without any decoration, to have the application of china paint later. I made some little hollows in some of the pendants which were filled with glass frit, not knowing how the colours would hold up. This is my nod to Margaret Mcdonald, some have gold lustre as well as china paint. Those tiny swirls look so much like roses, I wish I could say that was my intention. I got a clay order this week so I set to and made some pieces using black and terracotta clays. I can’t wait to try some glazes out on these pieces but that will have to be for another blog post. I do love the quality of line made by stamping lino prints into clay, they are delicate, more so than I could get with tube lining. I have plans to carve some larger designs one day, but I have a lot of glazing to do in the next few weeks so it may be a while. Now head over an have a look to see what everyone has made, I do love this part of the challenge. 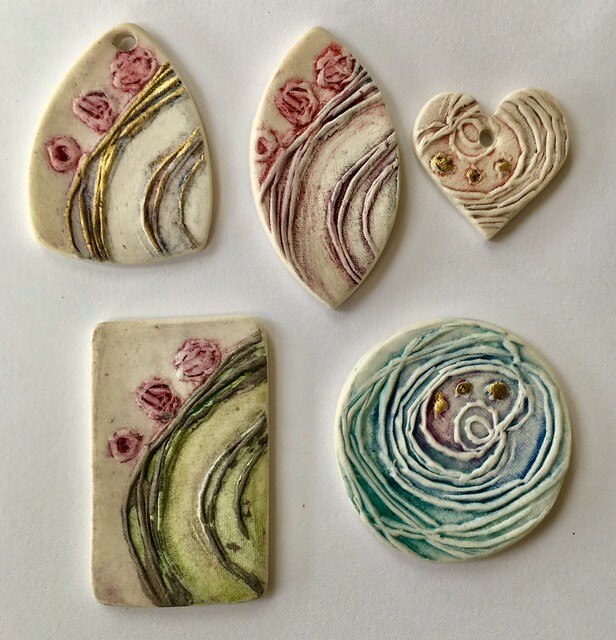 Aside | This entry was posted in kiln fired art and tagged Art Elements, August theme challenge, ceramic jewellery, ceramic pendants, clay pendants, jewellery components, kiln fired art, swirls. Bookmark the permalink. Wow!!! As I scrolled down, my jaw progressively got lower to the floor! I am so delighted that you found your muse and shared with us. This body of work is just amazing!!! I love your work! I need to investigate where to buy it! I especially like how the little indented parts turned out! Hi Alison and thank you. I sell my work on Etsy I have put a link to my shop below. All of these pieces will be in my shop soon, hopefully by the end of next week. 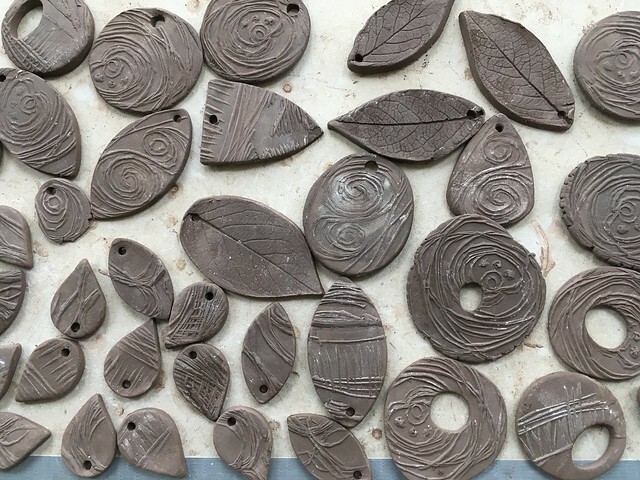 Hi Alison, the pendants are now listed in my Etsy shop, there will be more next month once I get them glazed. And another one who had difficulties with the topic … but wow, your muse pulled through big time in the end! I love them all, and I love, love, love the nod to Margaret McDonald (I’m a bit jealous you have visited Hill House). If you hadn’t told me the rose look wasn’t on person, I wouldn’t have known! Thanks Cat, if you ever get the chance to visit you should. I have always loved Chales Rennie Macintosh designs but I learned so much more from seeing them in person. I love te way his furniture cast interesting shadows and the colours of the stained glass on the wall was something I couldn’t get from a book. Great work, I loved reading about your inspiration, and following the different steps of your creation. The final result is amazing. Love! Your pieces are really beautiful, I couldn’t help but admire in each and every one of them how the swirls and colors mix and match so well together. 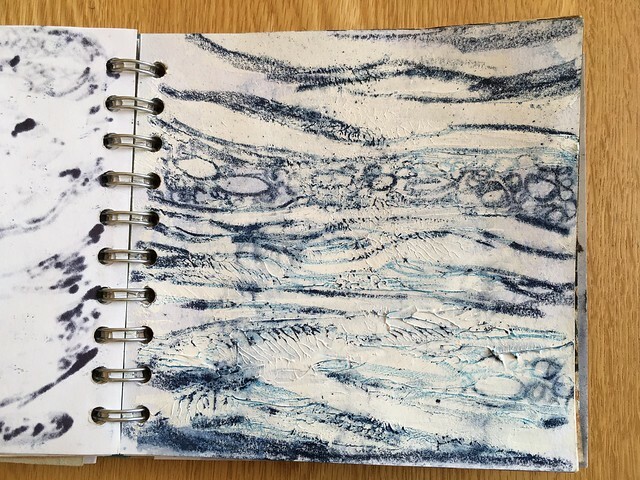 Gosh, I love your sketchbook! What kind of paper do you use? Thank you. I did a sketchbook course with Dionne Swift and since then I have been in love with Pink Pig sketchbooks. The paper is robust enough for most techniques. Being spiral bound means you can snip between the rings to remove and also add pages so I have lots of different page surfaces in there. 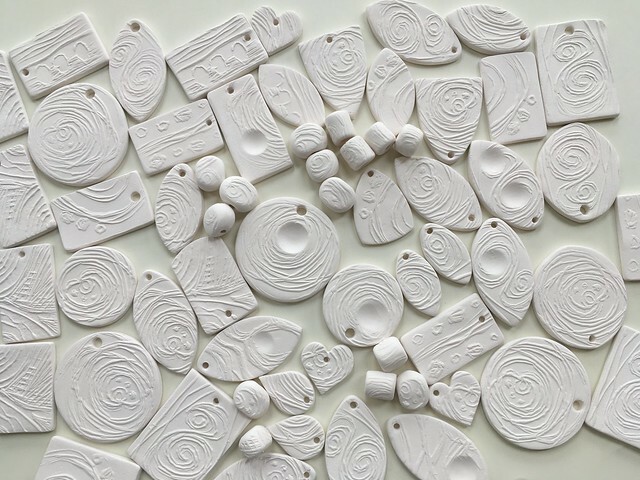 I adore the ceramics by Margaret Mcdonald. She is a new artist to me. 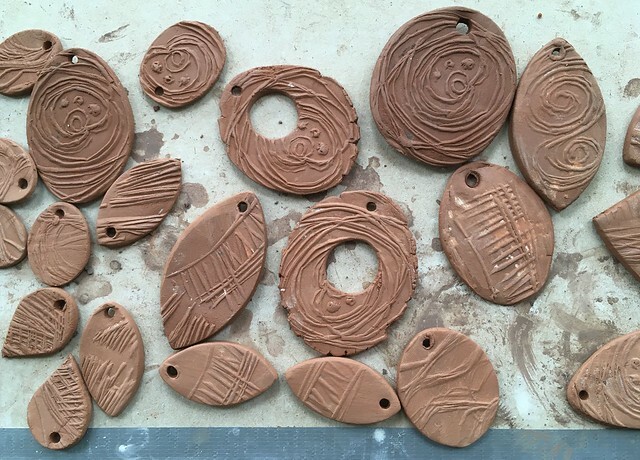 Thanks you for showing the whole process from the idea, to the carvings, to the finished glazed and fired pieces. Those details made this blog so interesting, Congrats on all the pieces that you made. Well done! LOVE!!!! So utterly of Nature. Gorgeous beads. The textures are fantastic and the colors are divine. Wow! You made some great stuff! I love your swirl explorations! First of all I love your sketches! 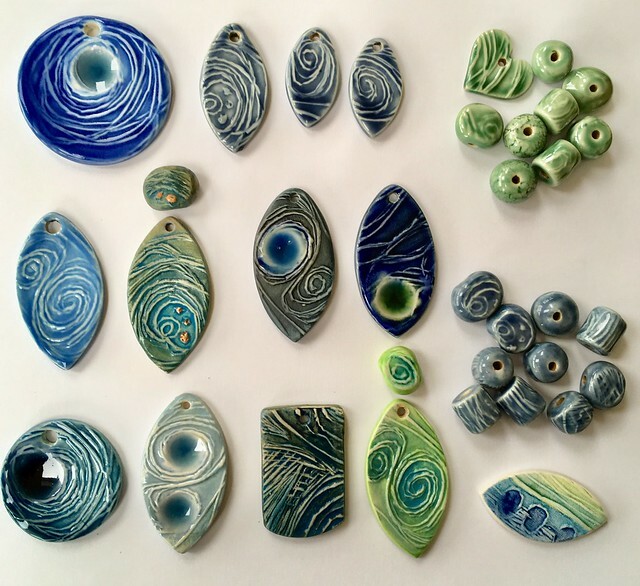 But all the swirly ceramic goodies are just amazing- such a huge variety. They’re all beautiful Jill. I love the addition of glass and the happy accident with your Margaret Macdonald pieces. Really enjoyed reading about your process too! Gorgeous! I have so much to say but I’ll just say your Margaret Macdonald pieces are my faves too! I would love to know if you are putting them up for sale! 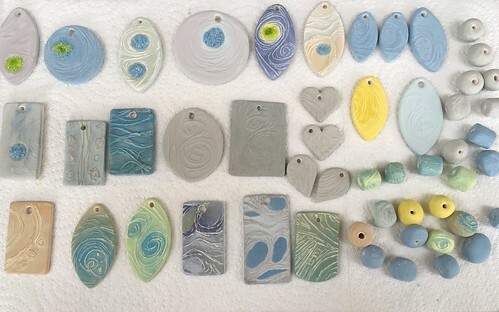 Hi Susan, the pendants are now listed in my Etsy shop, there will be more next month once I get them glazed. Jill – I look forward to your posts so! Gorgeous imagery! I love your beads, especially the McDonald ones! 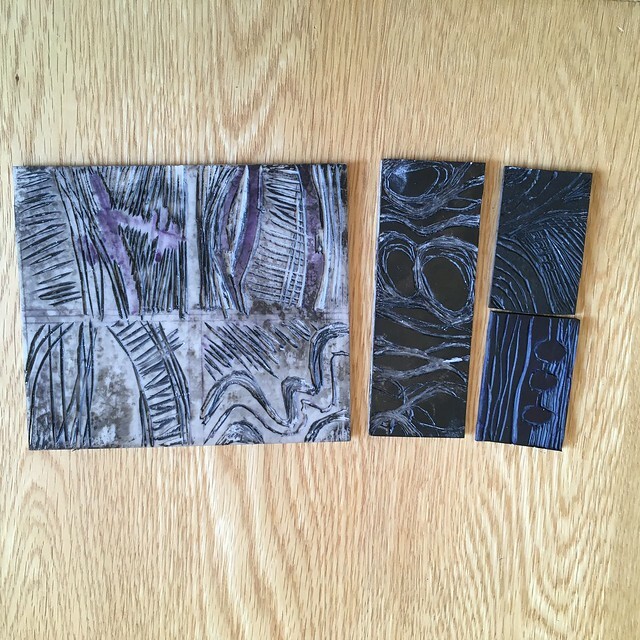 You have sparked some ideas for me in making links between my lino prints and clay. 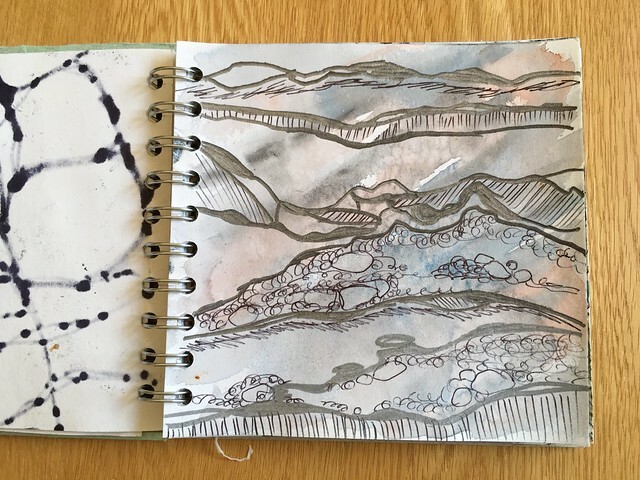 Ive printed with my lino on clay before – but your looser approach has me thinking! ! Thank you! And I apologize for hopping so late – I was away.